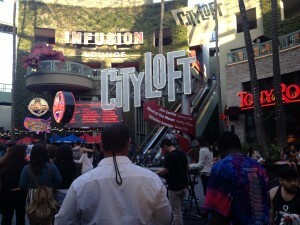 Universal Studios CityWalk Bail Bonds | Arrest, Bail & Bondsman Info. If you found us today in need of Universal Studios CityWalk Bail Bonds, you’ve come to the right place. The Los Angeles County Sheriff’s Department provides law enforcement services to Universal City from a Sub-Station located within the CityWalk Theme Mall. You should know that there is not a jail located at the Universal sub-station. Anyone arrested at or around Universal Studios or CityWalk will eventually be transported to the West Hollywood Station Jail for booking and processing into the system. If someone you know has been arrested while at Universal Studios / CityWalk, we can help. Call us anytime, day or night locally at (818) 900-BAIL (2245) or toll-free, 877-422-4591. Universal City contains an entertainment theme park (Universal Studios-Hollywood), a motion picture and tv production studio, a six thousand five hundred seat Amphitheater (Universal Amphitheater), an eighteen screen cinema (Universal Studios Cinemas), and a large restaurant and shopping district theme mall (CityWalk). The average daily population is around fifty thousand. Staffing for the sub station consists of 1-Lieutenant, 2-Sergeants, 1-Detective, 1-Team leader, 12 Deputies and is manned 24 hours a day by Deputy and Security personnel. Many of our clients contact us from various areas of California and from all over the country. When you contact us, we’ll ask a few quick questions to get started with the bail process. We have an easy bail application which can be filled out from the comfort of your own home. And, our professional agents can work quickly get you through the approval process over the phone in just a few minutes. You can get the paperwork via Fax, email or by downloading our application directly from our website. It’s our job to make it easier on you. You may find our Bail FAQs page helpful. Call us anytime for more information on someone arrested at Universal Studios or CityWalk at (818) 900-BAIL (2245) or toll-free 877-422-4591. We’re here to assist you.